Learn the rockstar tactics on how to turn your free opt ins into customers begging to give you cash with the list building renegade video series. You may not have started your list building yet, or you’ve tried, only to discover, it’s just not as easy as they’ve claimed it was..
No matter how new you are to list building, or how many times you have failed at creating a rockstar size list in the past, you are about to discover exactly how you can join the ranks of the wealthiest list building giants online.. it really can be that easy. One of the quickest ways to make money online is by using the power that comes with having a “ready-made” pre-built customer base, that you can instantly broadcast messages to, whenever you want. Get Them To Opt In First ! Do you have no idea how to create a squeeze page, or drive targeted traffic to your websites, in order to build your list? Do you know how to entice visitors into becoming subscribers, or how to effectively monetize your list, once you build one? 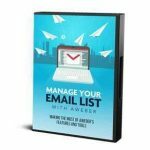 Are you are brand new to marketing and know that you NEED a list, but have absolutely no idea how to get started? Whatever your reason for not having taken advantage of the power of having a highly targeted email list, prepare for a profitable change in the way you run your online business. Forget spending a fortune buying leads from other email marketers. Half the time, these subscribers are untargeted and in some cases, not even confirmed opt-ins, which means that once you email them, you are at risk for being busted for sending SPAM ! Do you really want to jeopardize your online business (and credibility) just to build a list? And what about paid traffic? Do you really want to flood your server with loads of untargeted visitors who care nothing about the products that you are selling? Or would you rather learn strategies the listbuilding renegades use to drive “targeted traffic” to their squeeze page. Duh? Listen, you know how incredibly difficult it is to make money without having a customer list. Not only will you end up spending hours of your time manually promoting your website, but even if you hired a team of marketers to work around the clock for you.. you will still NEVER make as much money as you can with a single list of hungry buyers! Would you rather spend 8 hours a day, every day, marketing your website and desperately seeking out prospects.. or spend less than 7 minutes writing an email broadcast and clicking ONE button, to pull the trigger and blast your message out in front of thousands of targeted buyers? This isn’t new or even secret, it’s common sense.. you simply NEED to build your list. Introducing… List Building Renegade – Learn How To Turn Your Free Opt Ins Into Customers Begging To Give You Cash! There Has To Be An Easier And More Effective Way, Right ? Well Now There Is!! What if you could follow a step-by-step system that would show you exactly how to create a list building machine that would attract thousands of highly targeted subscribers, all on complete auto pilot? An introduction to the system. By the end of this video we will lay out the List Building Renegade Course to get you started on your first seam bursting list ! 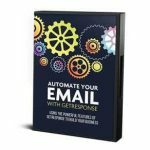 The tools you need to build a successful email marketing campaign, and how you can set up your entire system in 72 hours or less.. guaranteed! Never waste another minute of your time fiddling around with worthless tactics. Follow a proven formula for creating high converting squeeze pages in seconds! It doesn’t matter if you have absolutely no HTML knowledge, you can still create dynamic squeeze and landing pages, that attract prime subscribers! Discover what you absolutely must know about communicating with your list so that you are able to dominate niche markets and summon instant traffic on command with just a couple of clicks! These are solid, proven tactics that you need to know! Find out how you can maximize profit and funnel your subscribers into our markets allowing you to instantly gain ground and establish a concrete foothold in any market you wish.. effortlessly! The list building products and services I recommend to go from List Building Newbie” to List Building Renegade! Now you can attend some ‘guru’ ‘s seminar or even an offline crash course on marketing and branding it would probably set you back by a few hundred dollars, probably even over a thousand! Take a bunch of notes and hope you remember it all. Honestly, paying so much and only having 2-3 hours spent with that expert seems like a waste of time and money to me! When you take action today you wont have to worry about that. You can download this complete video course and have access to all that training INSTANTLY, and be able to watch it over and over again if you wish. I’ve always believe in over delivering so my customers trust me and look forward to dealing with me again. So are you ready for a step by step video series that will teach all the strategies that you need to become a List Building Renegade !! List Building Renegade helps you create a successful list without you spending heaps of cash or time to do so…and you can start prospering from your newfound prospects straightaway! Discover The Secrets to List Building That Can make You Daily Cash on Autopilot!